Passenger Gondolas. 40 enclosed gondolas with a capacity of up to 6 persons per gondola. Setting up the wheel. The installation of the wheel takes approximately 1 week by 10 specially trained and qualified personnel using a 72 ton crane. The wheel is transported by a team on 11 trailers. Cutting edge design. 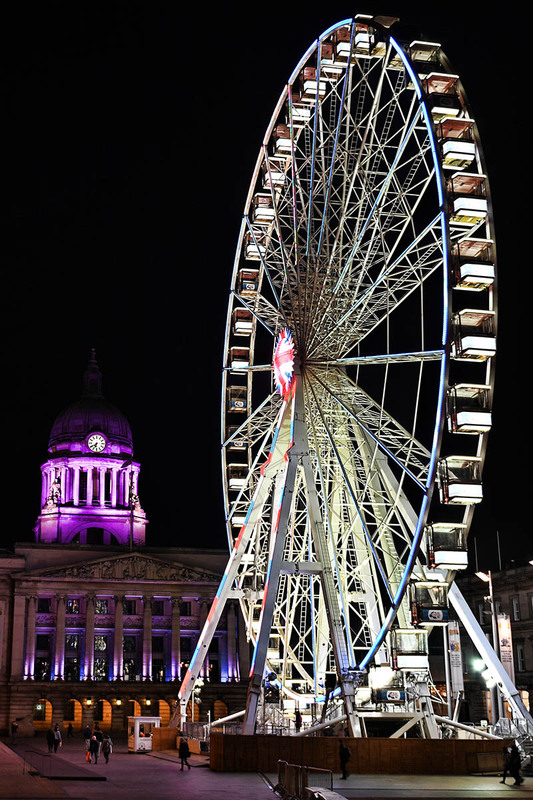 This graceful giant wheel is almost completely silent in operation and features the very latest in observation wheel technology and is beautifully engineered to a high specification. Riding experience. A trip on a the wheel takes approximately 12 minutes and offers a birds eye view of the surroundings whilst being lifted almost 60 metres into the sky. Gondola design. Each gondola or capsule is completely enclosed with a 360 degree view. This design feature allows you to have a comfortable experience whatever the weather.